Here's Why The Vogue Wedding Show's Spectacular 4th Edition Was Beyond Perfect! In a country where weddings are treated like no less than a full-blown festival itself, the spectacular Vogue Wedding Show, the 3-day luxurious wedding exhibition is regarded as the most-awaited and most awesome event for all the brides & grooms-to-be, not to mention all the moms-in-law-to-be! Considering it’s importance and all the brouhaha over it, we just couldn’t afford to miss the fourth instalment of India&apos;s most exclusive bridal wedding extravaganza and so we hitched up our fashionable handbags and headed on over to witess the finest, latest and exclusive collections by all fashion bigwigs. Showcasing the finest, latest and most exclusive services in the bridal world, the Vogue Wedding Show proudly exhibited some of the biggest names from the Indian wedding circuit, and needless to say, this edition of the prestigious invite only exhibition, the Vogue Wedding Show held at Taj Palace left us all dreamy and starry-eyed! At this luxury fair, brides and grooms-to-be and their families had the convenience of meeting the finest purveyors of products and services pertaining to weddings, all under one opulent roof. 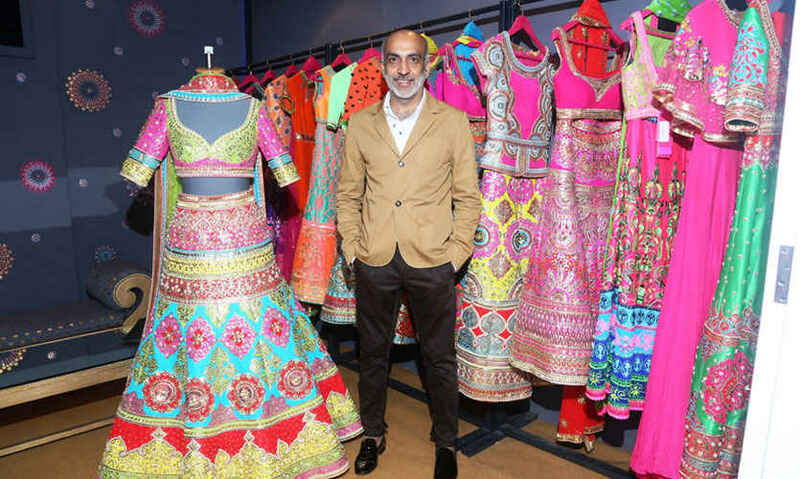 Some of India’s top designers like Anita Dongre, Falguni and Shane Peacock, Gaurang, Gaurav Gupta, Indian by Manish Arora, Jade by Monica & Karishma, Manish Malhotra, Misha Lakhani, Payal Singhal, Sabyasachi, Shantanu & Nikhil, Tarun Tahiliani and Varun Bahl, to name just a choice few, graced the event with their enormous pavilions! The Vogue Wedding Show also offered the highly coveted privilege of private consults with the hallowed fashion Gods of bridal couture. Here, the invitees made their selection in a private and relaxed environment, and enjoyed super helpful one-on-one consultations with the masters of this craft. 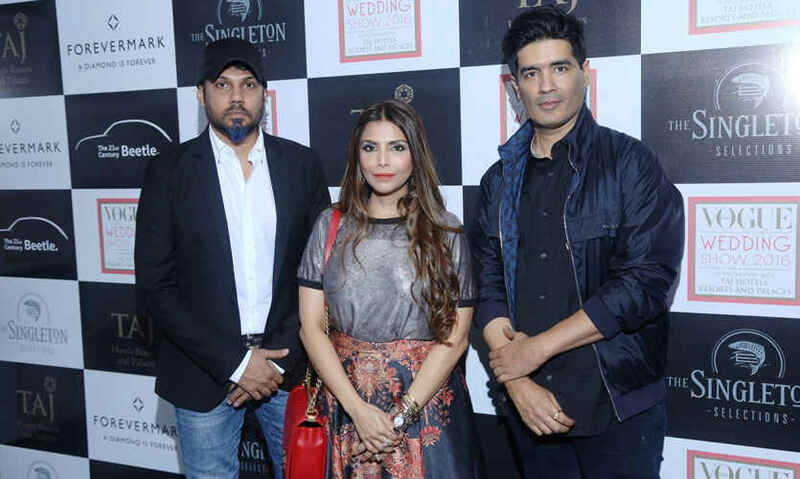 Some of the country’s most trusted jewellers, luxury gifting brands and wedding-related services providers in the Indian wedding space also participated in this annual mega event. To impart as much wedding gyan as they could, the Vogue team orchestrated numerous advantageous workshops with fashion bigwigs like Anaita Shroff who shared insights and tips with brides on the things to buy and what to stay steer clear of while Namrata Soni held forth on ideal make-up looks for the long trail of functions. Plus, the event saw scores of renowned wedding planners circulating, giving loads of invitees a chance to mingle and choose! To take care of every facet of any wedding, leading décor experts and wedding planners, like the Wedding Design Company, Wedniksha, and many more also graced the event, to our delight! Giving us so many wedding goals, the fourth edition of Vogue Wedding Show caught us in it’s loop in no time and we still can’t get over it - hats off to the Vogue team!